Metal roofing assemblies need to work as a system of components which complement each other functionally and function in partnership to deliver a finished product. Primary components to be considered include the metal material selected, the roof sheeting system (the profile, with its clips or fasteners), as well as insulation, ventilators and louvres, and clamps for correct fitment of solar arrays, satellite dishes or walkways above the roof. To help guide specifying professionals in this process of roof assembly, Safintra has put together a reference manual, the Safintra Product Specification Manual, a comprehensive guide to metal roofing specification. It is available to all professionals, free of charge. All components are fully covered in the manual, and are warranted and supported by technical expertise and testing. 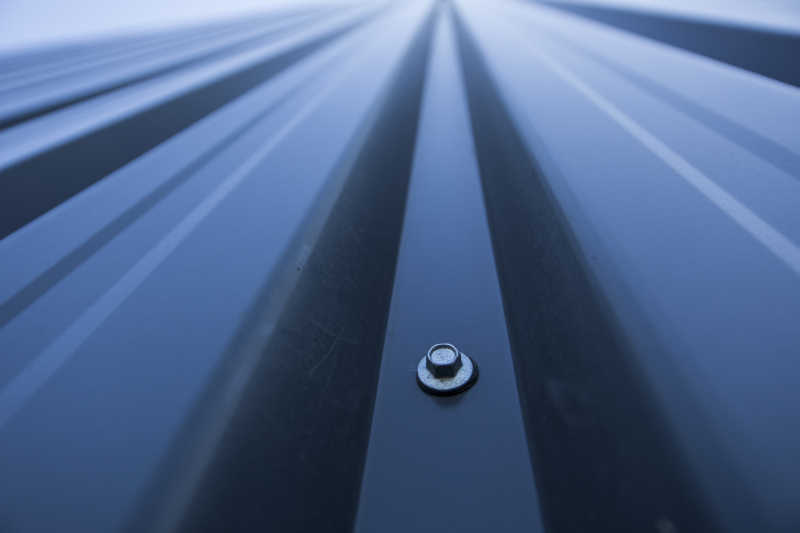 When it comes to coated steel, aluminium-zinc coated metal roofing has tangible benefits over traditional galvanised materials, including a longer service life, and superior thermal efficiency to deliver cost savings when heating and cooling interiors. For extremely corrosive environments or specialised applications, aluminium (painted or unpainted) and Rheinzink (titanium zinc) provide uniquely extended lifespans. When selecting a profile system, it is important to remember that metal expands at approximately 1mm per metre, so when using long lengths, natural thermal expansion and contraction can be a cause for concern, particularly where there are significant differences in daytime and evening temperatures. Pierced fix sheets, which are secured by fasteners through the sheets, are therefore limited to lengths of 13m or less. Concealed fix or standing seam systems are ideal for longer length sheets, but always ask for test data to ensure that concealed roofs perform for wind loads – the single most destructive element when it comes to long life and performance. The minimum specification for corrosion protection of fasteners shall be equal to or better than the warranted corrosion protection lifespan of the cladding. Fasteners are covered by SANS 1273:2011, which defines a system as comprising of a profiled sheet together with fasteners, including side lap or stitching fasteners. It also stipulates that the minimum specification for corrosion protection of fasteners shall be equal to or better than the corrosion protection coating to the cladding. Warranties must therefore be provided on request to professionals. It is interesting to note, for example, that for a fire rating, roof sheeting must include side stitching as the point of buckling will be between fasteners on purlins. Insulation is absolutely essential to deliver meaningful R-values in metal roofing systems. Different insulation materials have specific fire ratings, thermal ratings and practical installation practices, and when specifying materials for customised requirements, it is advisable to obtain assistance from technical staff. Finally, always ensure that appropriate rooftop clamps are used for the installation of HVAC units, solar panels, aerials and walkways, and that every system component is fit for its purpose. Full thanks and acknowledgement are given to Safintra for the information provided. 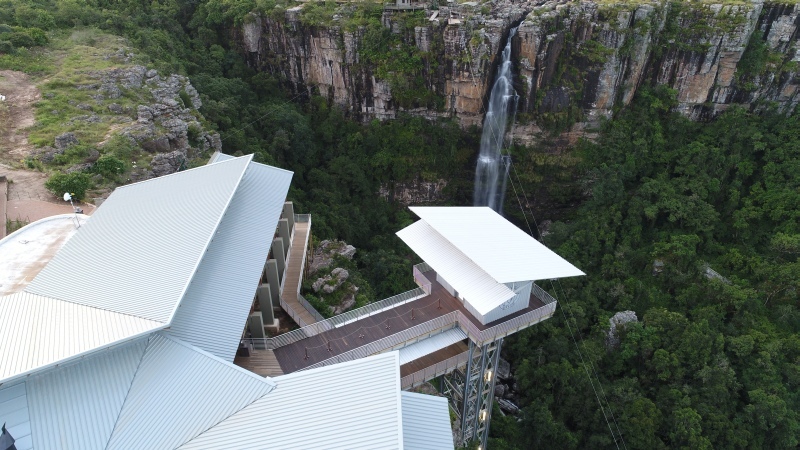 Caption main image: The buildings at the Graskop Gorge Adventure Centre were clad in the Saflok 700 profile, with Tufdek IBR used for the panoramic lift shaft.